Offering an outdoor pool, this Waitsfield B&B is located on 14 acres of property in the heart of the Green Mountains. Free WiFi access is available and a full breakfast is served each morning. Our Waitsfield Vermont Bed and Breakfast at Sugarbush is nestled on 14 peaceful acres in Vermont’s beautiful Green Mountains. 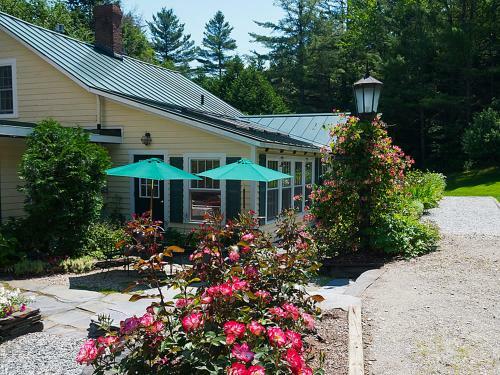 Honored as a Vermont Green Hotel, this historic Mad River Valley bed and breakfast is just moments from the Warren ski and golf resort of Sugarbush, Mad River Glen, and within easy reach of Montpelier, Middlebury, Stowe and Burlington. The charming, unspoiled Vermont villages of Waitsfield and Warren feature unique artisan shops, unforgettable New England scenery, excellent restaurants and wonderful spas. Enjoy your favorite outdoor activities, let us be your guides for a fall foliage trip or plan a destination wedding in Vermont in our gorgeous perennial gardens.